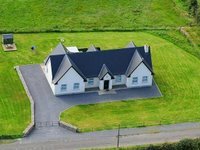 Beachcombers is located on an elevated site on the shores of the Cooley peninsula, enjoying breathtaking sea and coastal views for miles, ranging from Dundalk bay up as far as the Dublin coast and over to the Mourne mountains in Co. Down. 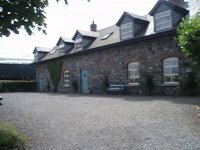 Situated five miles from Carlingford and within an hour’s drive of Dublin and Belfast. 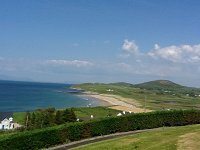 It is an ideal base for discovering the magic of the Mournes, the Boyne Valley and Newgrange amongst many others – Templetown blue flag beach is within walking distance. Beachcombers consists of three Bedrooms, one Double (En-Suite) and two twin rooms, bathroom, living room and kitchen. The kitchen comes fully fitted with microwave, dishwasher, washing machine, Dryer, Electric hob, Oven & fridge freezer. The Dining area is enhanced by a large bay window, which overlooks the sea. decorated with wooden floors throughout. Bed linen and towels are provided free of charge, Beachcombers also has garden furniture and a gas barbeque. Kitchen/Dining area: Fully equipped with oven, fridge freezer, dishwasher, washing machine, tumble drier, sandwich maker and microwave. Furniture includes ample seating, TV, DVD, Coffee table etc. The open stone fireplace and oak flooring make this a very cosy room. Beachcombers has three beautifully decorated bedrooms, the main bedroom having a double bed with en-suite facilities. The other two bedrooms each have two single beds. All bedrooms have lovely sea views. Heating (oil) & electricity is meter read & payable on departure. 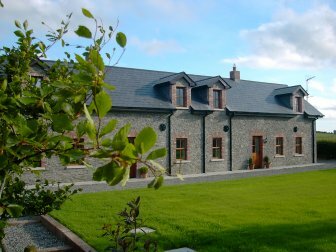 House-trained pets are welcomed at Beachcombers Cottage on request however they must be prebooked with Dream Ireland. The owner respectfully asks that pets be kept in the tiled area of the house. Pets are not permitted in the bedrooms.Pet owners should bring along their own bedding for the pet. We also ask that dogs be kept on a lease while outside. 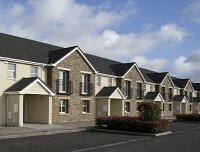 While staying at Beachcombers one may be content to enjoy the tranquillity of the area or take a stroll on the nearby Templetown Blue Flag beach. 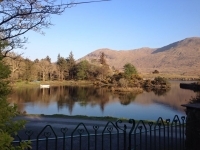 For the more active there is a broad range of activities, which include two very challenging 18-hole golf courses at Ballymascanlon and Greenore. Alternative - Aromatherapy, Beautology Health & beauty Clinic. 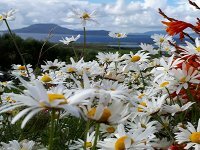 Hill Walking - Guided tours for groups or daily visitors. Excellent Italian, Gourmet, Authentic & traditional Restaurants, Tea Rooms & Delicatessens. Lily Finigans Pub within 1 mile. Wide variety of shops crafts, jewellry and ladies fashion.